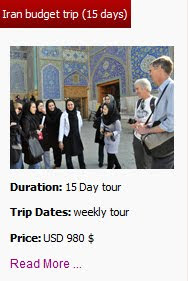 Uppersia Iran Travel blog: To walk on clouds! This is a never-ending land covered with oak, alder, beech and pine trees and an ocean of clouds is flowing just under your feet. Let pure oxygen and pleasant moist run into your lungs after a long hiking, then set up your tent or hang your hammock on trees and listen to woodpeckers digging into the trees. This foggy atmosphere is just beautiful and surreal! "Jangal e Abr" or "Clouds forest" during October. Yes, these are happening in Iran although it is known as a dry land! 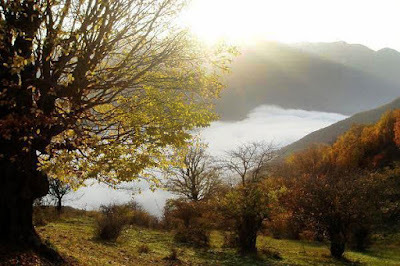 “Jangal- e Abr” or “Clouds forest” is located on Alborz heights, between Shahroud in Semnan province which is a dry land and Ali Abad in the north with a rainy climate (North East of Iran). “Clouds forest” is a part of the Hyrcanian forest, dating back to Jurassic era and it has been inscribed as a national heritage for Iran. This forest is located between two areas with different heights and climates. This contrast is why this forest is covered in dense clouds. 85 species of trees and medical herbs are available in “Clouds forest” and you may see Persian brown bear and wild boar during your climbing trip up to the heights. The climbing route to "Clouds forest" usually starts in Abr village of Shahroud, where you can visit Bayazid Bastami’s tomb (a well-known Persian Sufi who passed away 874 A.D). You can reach the heights in the middle of the “Clouds forest” on a car and spend a day in the forest. You can also start an adventurous climbing trip through the forest which takes 3- 4 days. The forest goes dense and the fog makes you feel fresh as you continue the climbing route and you may see bear’s footprint and wild mushrooms on your way. This is a very good area for camping during nights and enjoying the forest’s beauty and the fresh weather. 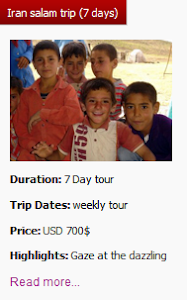 After two days you will reach a village named “Afra takhteh”. 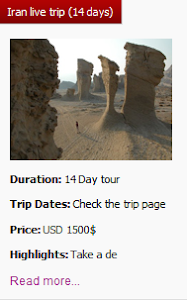 The climbing route is continued by walking through a canyon and it finishes on the other side of the mountain, in a small village named “Shirin Abad”, near Ali Abad village. During spring the weather is just perfect for hiking in “Clouds forest”. The temperature is about 26°C and the spring rain makes it so enjoyable to walk through young green leaves and the beautiful nature. But autumn changes this forest into a magic land, while the temperature is about 16-19°C. Ok, I’m not sure that this is the most fabulous autumn view but the colorful trees in yellow and ochre, while pale autumn sunlight shines on them is truly a fabulous scene. 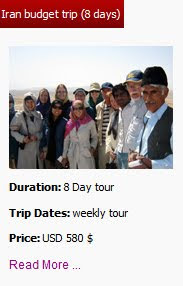 Ask uppersia for outdoor tours in Iran during autumn and enjoy the wild, unknown nature. "Jangal e Abr" or "Clouds forest, in North East of Iran.